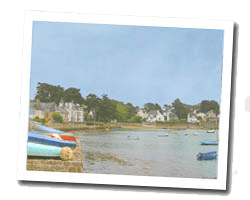 With a coastline of 37 km on the Gulf of Morbihan, Baden offers a multitude of picturesque sea views and many islands: Islands Renaud, Grand Vezy, Petit Vezy and Sept Iles. In the village of Port-Blanc you can embark to Île-aux-Moines. At the seaside, Sept Iles beach, near the island of the same name, is very pleasant. 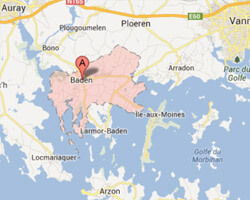 In Baden enjoy a seaview holiday rental. rivière d’Auray, House. Terrace, garden with outdoor furniture and deck chairs. Private outdoor swimming pool. Nice view of the gulf. 5 Bedroom(s), 2 double bed(s). short stays possibility.